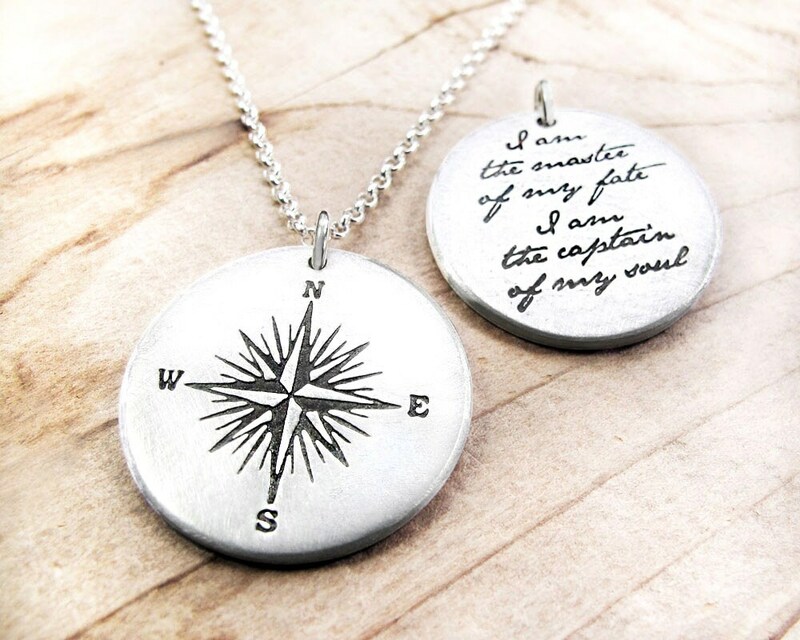 The pendant is a touch under 1" in diameter (24mm) and is made from sterling silver. It has a matte finish and comes on your choice of a 16", 18"or 20" sterling silver rollo chain, a 22" stainless steel chain which is suitable for men, or a heavy sterling silver cable chain in all 4 lengths. This comes in a recycled gift box tied with a raffia ribbon, ready for giving. Please see the 5th photo to see all 3 chain styles, the first photos show the rollo chain. It's absolutely stunning! I ordered the wrong size chain and she quickly sent me a replacement. I buy all my grandchildren a piece of jewelry in their teens that will remind them of gramma. I bought this for my 15 yo grandson and he loves it! The print is small, however, it is readable and my grandson clearly understands the message. I love that its a piece of jewelry that should last him a lifetime and the strong message should guide him thru life. The only reason I am giving this a 4 star instead of 5 is that I wish more chain designs were available.